This article will introduce the function named keyboard mapping, which can be utilized to set keys. With this keyboard mapping, you can play games with your keyboard and mouse. You can find this function here. 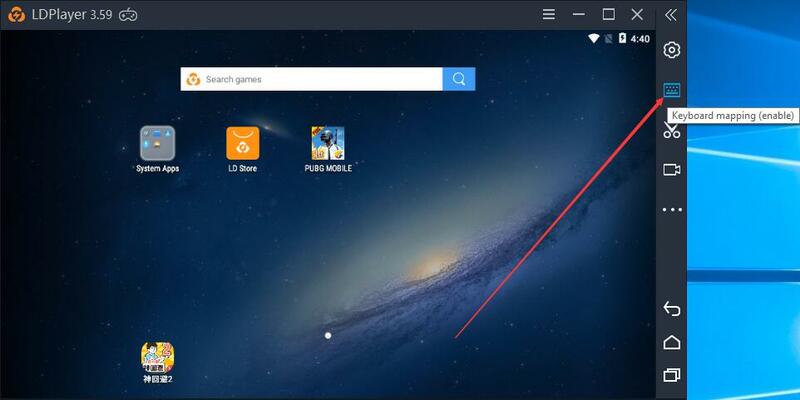 The way to set up: Drag it into the home screen of LDPlayer or directly click the dot on the screen of LDPlayer. Role: Emulate a simple touch. The way to set up: Drag it into the home screen of LDPlayer. Role: Repeatedly touch one place. You can adjust the times of repeated touch via chaning the number on the left. Role: Move around. W, A, S and D are the default keys and can be changed to other keys after clicking them. 4. Move your hero by holding the right mouse button. Role: Hold the right mouse button to move around. It is mainly used in MOBA games like Arena of Valor. The way to set up: Drag it into the home screen of LDPlayer. It may need to be put to the right side of home screen for some games. Role: control your view. It is widely used in 3D mobile games like Honkai Impact 3 and Dragon Nest M.
When you conjure via the combination of the keyboard and mouse, you will use this skill key. It can control the release of non-directional skills (Skills that you need to control the direction). This skill key is generally suitable for MOBA games. The way to set up: Drag it to the home screen of LDPlayer. Role: It is used to enter the firing mode (Your cursor will be hidden after entering this mode and you can change your view by 360 degree with your mouse. The way to set up: Drag it to the firing button in game. Role: You can directly fire with the left button after entering the firing mode. It is mostly used in shooting games like PUBG MOBILE. You can operate one location of home screen of LDPlayer by multiple keys of your keyboards, or operate multiple locations by one key. You can run and look around at the same time through this keyboard mapping which is commonly used in action games like PUBG MOBILE.